ODG raises $58 million, but what kind of OLED will it use in its Horizon consumer AR glasses? San Francisco based Osterhout Design Group (ODG) announced that it raised $58 million from several investors, including Shenzhen O-film Tech and Vanfund Urban Investment & Development. 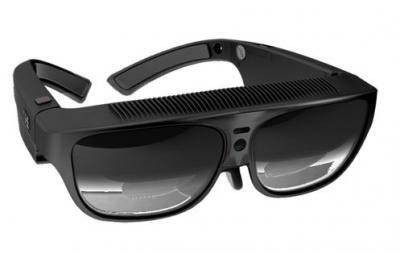 This is ODG's round A investment, but it is not a new company - it has been active with enterprise AR solutions for eight years, and in 2014 it sold some of its IP to Microsoft for $150 million. Why does ODG need so much money? Because it is entering the consumer market with its upcoming codename-Horizon platform, which will be an AR/VR platform that is based on OLED microdisplays. The Horizon platform will support a wide FOV, 120 fps and support for 4K 3D content. Following a discussion with microdisplay optics expert Karl Guttag, it turns out that my assumption was likely wrong - the information I read on the Horizon platform stated that it will use a "2K resolution per eye" - there's no mention of 2K x 2K. A "2K resolution" is somewhat confusing and it could mean several different technologies... but this is likely a FHD display. Karl also pointed out that ODG's combiner optics are rectangular and not square, so this could not be a 2k x 2k resolution. Of course ODG could still be a eMagin's licensee, as eMagin certainly offers FHD (and higher resolution) displays. Both Sony and MicroOLED also offer 2K OLED displays , but Sony's display does not support the frame rate (120 fps) ODG is stating. So the OLED microdisplay could be from either eMagin or MicroOLED.